Today the nominees of the JUNO Awards were announced and there were some dope bands with multiple nominations including Arcade Fire and Broken Social Scene...and then there is Drake who got the most noms (6) and is also hosting the awards. I still don't understand what the big deal is about this kid. Justin Bieber, who had 3 nominations last year and went home with nothing, received 4 nominations. I love/despise how Canadians hate on their most popular exports (except Nickleback, that I just love). The kid does show love for Canada maybe we should show him a little? Maybe? Meh, he will probably go home with nothing this year too...then he probably will never come back...and then they won't be able to charge $62.25 for the CHEAPEST ticket to the show (for real). I think the weakest category is Single of the Year...seriously, could they find nothing better? 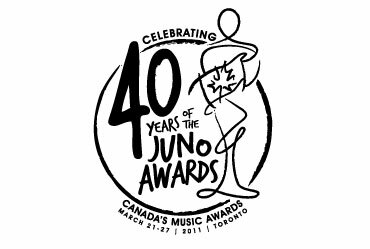 The JUNOs air on March 27 live from Toronto. You can buy tickets starting this Saturday from ticketmaster. 1. Hedley needs to go to that secret cave where Nickelback is hiding. Over them. 2. Neil Young and Sarah McLachlan? Is this 2011 or 1999? Pass. 3. Where the eff are Shawn Desman's noms? That kid is so underrated and killing the Canadian pop scene. Why don't people show him some love?